Yak Yeti Yak is unique there is no other restaurant quite like it. Set in the basement of 3 listed 18th Century town houses the restaurant has a variety of dining areas, a separate bar and 2 courtyard gardens each with its own character. 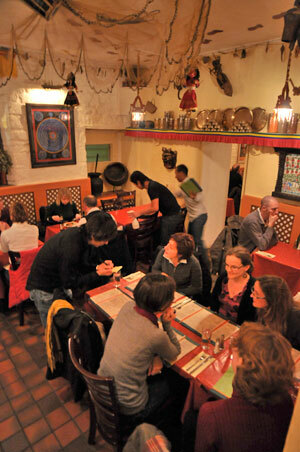 There is even a traditional Nepalese style dining room with low level tables and floor cushions. 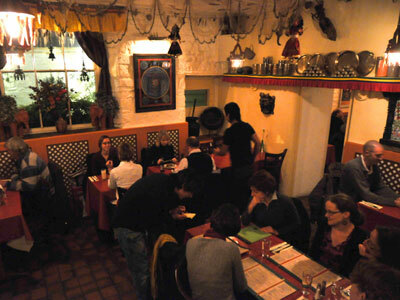 The atmosphere is relaxed and friendly reflecting the owners’ belief that the restaurant is an extension of their own home and customers are guests. Soft ambient music adds to the atmosphere. 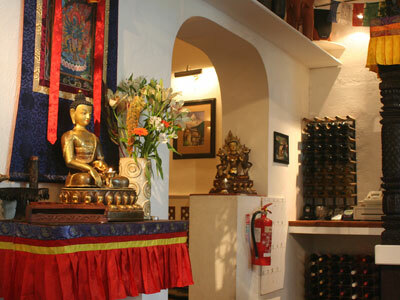 Having spent many years travelling around Nepal leading expeditions the owners have collected a diverse and personal mix of artefacts and everyday items that now adorn the walls and ceilings of the restaurant. Amongst the many bits and pieces there are bells from yak caravans, village gadgets, jungle artwork and climbing gear from past Everest expeditions including a pair of boots that have been on the summit. 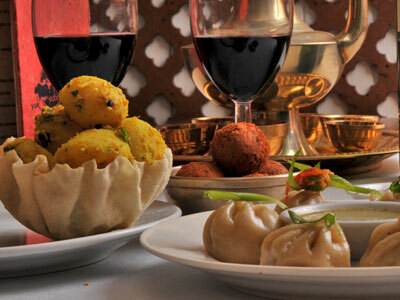 Nepal is home to a rich culinary history, full of variety and delicate flavours, reflecting the cultural diversity of the country, from the Indian influence of the plains to the Himalayan region with its Tibetan influence. 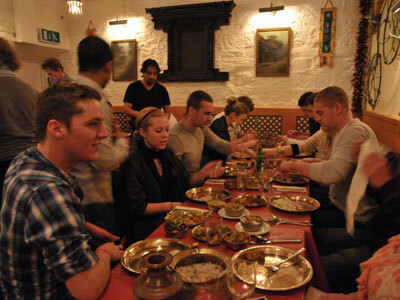 We specialise in authentic Nepalese food just as it is prepared in Nepal with family favourites standing alongside classic dishes on our menu. We have also included some contemporary innovations of our own, like Chiyaa ice-cream a creamy spiced dessert and a fitting finale to your meal. 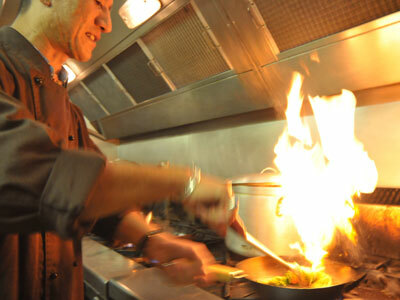 Subtle complimentary spicing is our preferred way of cooking but as our food is freshly prepared on the premises and cooked to order we encourage people to order according to their own taste. In Nepal vegetarian food is a part of everyday life and this is reflected on our menu, our vegetable dishes and vegan dishes receive equal billing with meat dishes. We believe there are no short cuts to producing good food so we don’t take any. 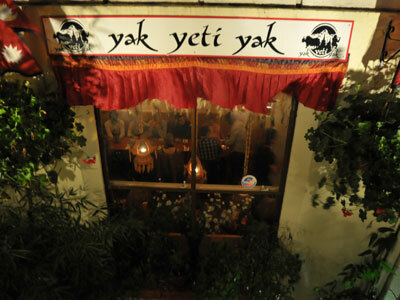 Yak Yeti Yak has received numerous accolades and is only one of seven eateries in Bath recommended by the Good Food Guide 2006/7/8 and 2009! Sunday’s: Lunch: 12 noon - 2pm Evening: 6pm - 10pm.